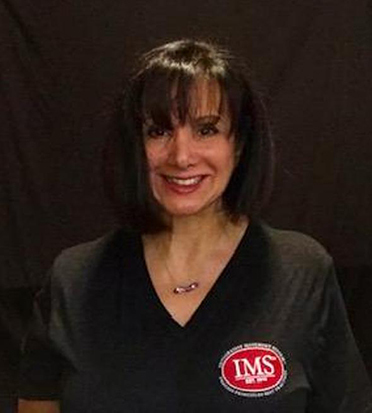 Susan has been in the business of fitness since 1990 as a group exercise instructor, personal trainer, program manager and leading the NY BFIT University Instructor Training program for one of the nation's largest largest health club chains, Bally Total Fitness for 17 years. Susan was introduced to the Pilates principle of exercise on the reformer in 1999 by Elizabeth Larkam, director of Pilates and Beyond, and who is internationally recognized as an innovator in mind body movement. She holds certificates from BASI, Balanced Body Pilates, American Council on Exercise (ACE) for group and personal training, and licensed to teach Yoga Tune-Up® with specialty certificates in Yoga Tune Up® Ball Therapy. Susan is well versed in Pilates Mat work with ring, roller, bands and ball as well as using unique props in Yoga Tune Up® to design programs based on individual needs, challenges and goals. Susan states, "Pilates and Yoga Tune Up® has deeply connected my mind to work synergistically with my body and helping me and many others live better in their body everyday."